Is cursive writing for dinosaurs? Cursive writing has been banned in Finland. 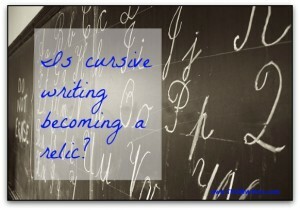 OK, that sounds like hyperbole, but let’s just say that the days of cursive writing are starting to look numbered.